Think it's cool? Well then you can buy one on Amazon. They sell for $69, but today you can buy one for $10 less with coupon code O5TOJGWW, which brings the price down to $59 (you probably could have done that math on your own). Connected "smart" lighting is far from a new concept, but in late-2012, Philips released the first Hue lightbulb which became the blueprint for a new category in an old market. It was no longer enough for lights to turn on at a scheduled time or with a clunky wireless remote, they had to become smarter, more efficient, more flexible, and we wanted to control them with our smartphones. But a product of this type lends itself to variations, special features, and stylistic choices beyond those of the original innovation. 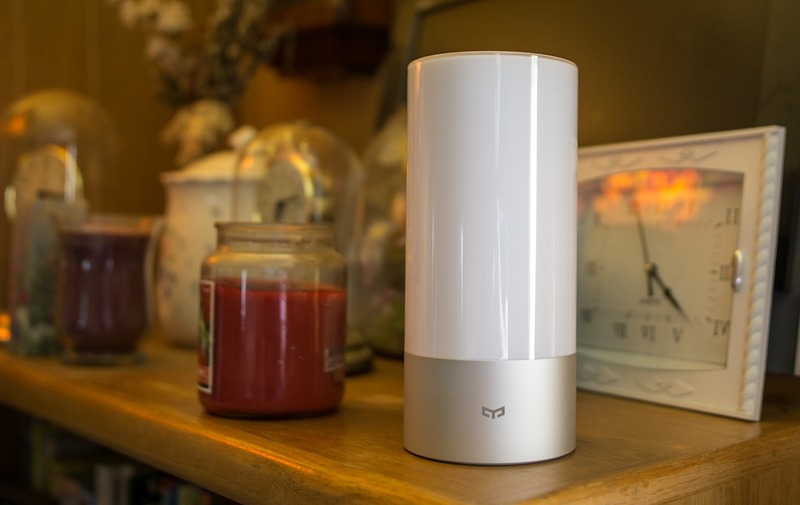 This brings us to the Yeelight, a Bluetooth-enabled bedside lamp with a stylish look, simple controls, and a couple of clever features to go along with it.